Rochester, Minn. -- The National Wildlife Federation submitted over 16,500 comments to the Bureau of Land Management (BLM) last week in opposition to risky mining that jeopardizes the Boundary Waters Canoe Area Wilderness. The BLM proposes to renew two expired sulfide-ore mining leases for the Twin Metals Minnesota LLC in the Superior National Forest in the Rainy River Watershed, which includes the Boundary Waters Canoe Area Wilderness (BWCAW). The comment period closed last week. 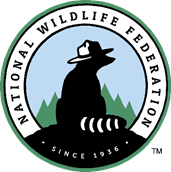 Founded in 1936, the National Wildlife Federation is the country’s largest conservation organization representing 6 million members and supporters and 51 state and territorial affiliate organizations. Its mission is to unite all Americans to ensure wildlife thrive in a rapidly changing world.